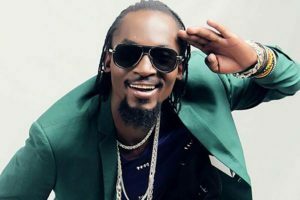 RIP: Musician Mowzey Radio has passed on. File photo. On Monday January 22nd, celebrated Ugandan vocalist, Moses Ssekibogo, popularly known as Mowzey Radio, went to Da Bar, a popular night hangout in Entebbe for a drink. As fate would have it, the young singer got involved in a brawl with the bar owner, a brawl that turned into a nasty accident for Mowzey. Luckily for him, friends rushed him to a clinic, then to Nsambya hospital but could only find space in intensive care at Case Hospital. Social media went awash with reports that the singer had died. However, the hospital management came out to reassure the public that the singer was under good care. It was confirmed he had undergone an operation on the brain and the neck which were both severly injured in the brawl. “Yesterday night, Radio was involved in an accident and he is currently receiving the best treatment at Case Clinic. The situation is not alarming as being reported on social media by some people. We would like to make it clear that RADIO is getting better and right now is out of comma. Please disregard all the unnecessary reports going around,” the statement from Case Hospital read then.. The hospital, however, said Radio still needs prayers from his fans. After weeks of waiting and speculation, a source at the hospital intimated to PML Daily that the singer had been placed under induced coma. This according to doctors we spoke to, was done because the singer was recovering and therefore doctors felt this would help him relax and recover better. “He has retained back some of his body faculties but doctors advised that it was wise for him to be induced and avoid any disturbances,” a relative at the hospital intimated to us, adding that the singer had regained his sight. Two days later, at 6am this morning, the singer breathed his last. The news was received with shock from the thousands of fans who relished the yound musician. At Case Hospital on Buganda Road in Kampala, police deployed to control the soaring crowd that had turned up to see for themselves first hand what was happening at the hospital. A press conference is underway at the hospital to give official information about the father of fellow musician, Lillian Mbabazi’s children.